Introducing: Travelpro NZ wide, now at luggage.co.nz! The newest brand to arrive on our shores, Travelpro, has an impressive range of luggage and business travel bags! Travelpro was not only started by an airline pilot himself, but it’s also the top luggage brand choice of over 90 airline’s crew-members! For durable, functional luggage and travel bags, check out Travelpro NZ wide at luggage.co.nz. 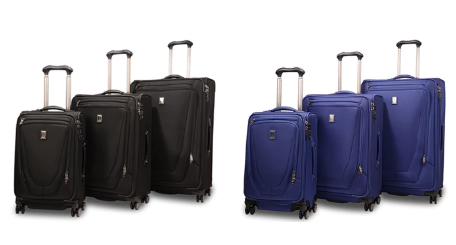 The Maxlite 4 range from Travelpro is an impressive range of suitcases, duffle totes and garment bags. Whether you’re off for a business trip or family holiday, the Maxlite 4 range is the perfect all round option! Maxlite 4 combine impressive interior organisation with functional exteriors to provide bags and suitcases that make travel hassle-free. Maxlite 4 even have a range of colour-changing suitcases that you’ll be sure to spot on the luggage carousel! Shop the Maxlite 4 range here. Enjoy Travelpro NZ wide with free shipping and 100 day returns at luggage.co.nz! Travelpro’s Crew Executive range is designed specifically for the business traveller. Their stylish range of business backpacks, briefcases and wheeled totes are ideal for those always on the go for work. The bags all have clever charging ports and organisation panels to make work travel hassle-free and enjoyable! 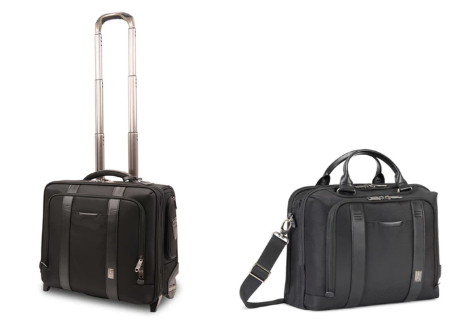 Shop Travelpro’s Crew Executive range here! Travelpro’s Crew 11 is another range of stylish suitcases and tote bags for hassle-free travel! The suitcases comes complete with organisation friendly interiors, sturdy 360 degree spinning wheels and patented grip telescopic handle systems. Not only are the Crew 11 cases smooth-rolling but they’re functional and lightweight too! They also match perfectly with the Crew Executive range – making them the ideal combination for the business traveller, or separately for those individual or family travellers! Shop the Crew 11 range from Travelpro NZ wide at luggage.co.nz. And don’t forget, we offer fast, free shipping and easy 100 day returns too!